In spite of the bright colours splashed on this little bird, Carduelis carduelis, many of us may never have seen one. They sing a liquid, twittering song; a group of them is called a ‘charm of goldfinch’. 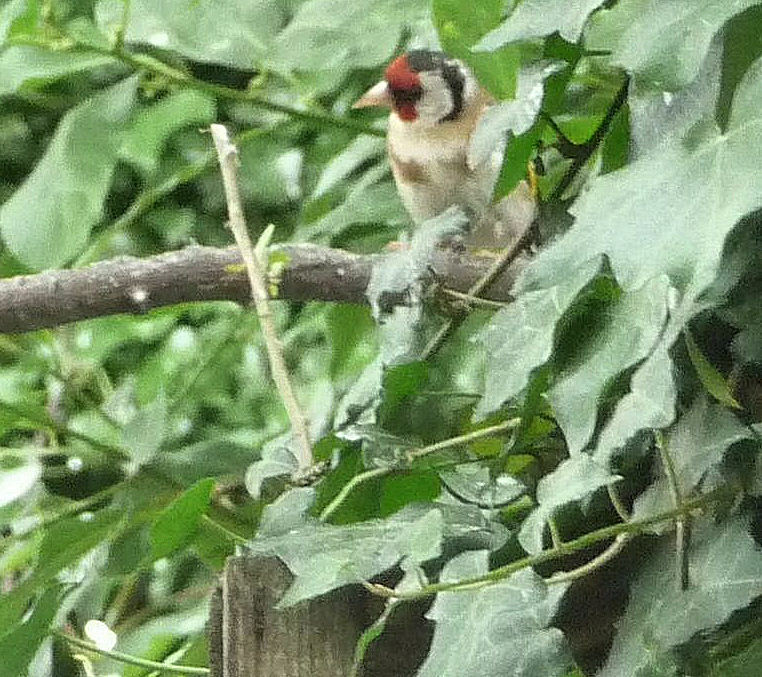 If you grow teasels, you may find Goldfinches in your garden once the flowers have gone over. They sit on the ‘thistles’, extracting seeds with the tips of their beaks, oblivious to the sharp spines. 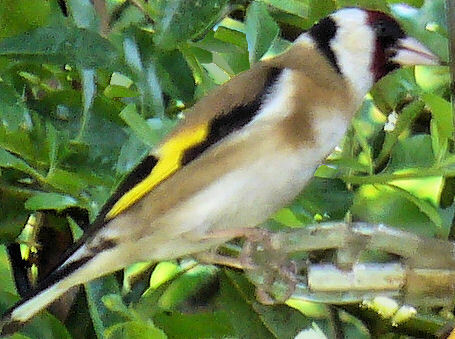 The Goldfinch’s favourite food is niger (thistle) seed, but they eat sunflowers & other seeds as well. 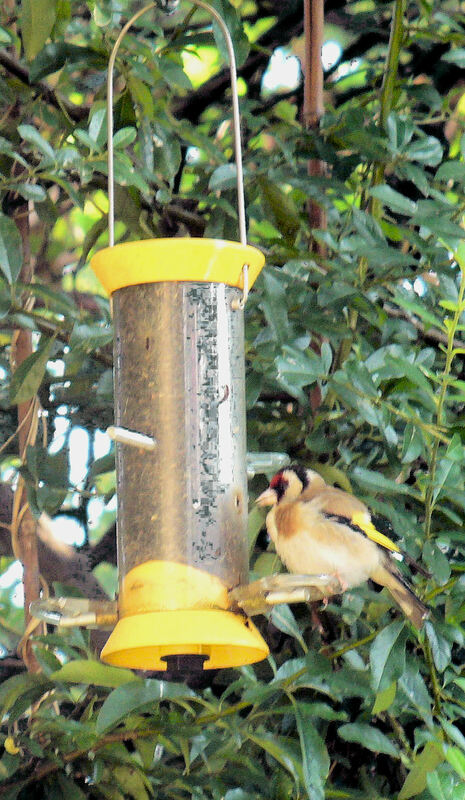 The Goldfinch Flocker, a tube with small nicks taken out of it, is designed to cater for Goldfinch beaks. The finches sit sedately at this feeder, picking seeds from the nicks in the tube while keeping a wary eye on the rest of the garden. (See our video below, & our ‘What You Can Do – For Birds’ page). Native to Europe, West Africa and western Asia, Goldfinches are well camouflaged. Many of us had no idea there were any of them in the neighbourhood until we installed this feeder and found them perching on it and feeding from it. According to the RSPB, many UK goldfinches migrate as far south as Spain for the winter. The English word ‘goldfinch’ was used in the second half of the 14th century by Geoffrey Chaucer in his unfinished The Cook’s Tale: “Gaillard he was as goldfynch in the shawe (Gaily dressed he was as is a goldfinch in the woods)”. Other names: British Goldfinch, Carduelies, Eastern Goldfinch, Eurasian Goldfinch, Goldie, Gold Linnet, King Harry Redcap, Thistle Finch & Thistle-tweaker (Saxon).